Championship March is drawing to a close, but here at NENSA we are in full swing both wrapping up this season and making plans for 2019-20. Bid sheets are now open for venues and clubs to bid on hosting Eastern Cup weekends, Zak Cup races and Marathons for 2020, and U16's and EHS Championships for 2021. See full story in box below for links to submit your bids. This past weekend, I had the wonderful pleasure of attending my first every World Cup races in Quebec, and they did not disappoint! What a fun and exciting weekend! Thank you to the Stowe Nordic Club for letting me join them! I met some wonderful new people, saw many old friends, skied (yes, skied - a cruel irony of this job - we staffers do not get to ski nearly as much as we'd like to...), and got to cheer on all my favorite USST heroes up close and personal. And, see greats like Alex Harvey, Kalla, Nilsson, Klaebo and Pellegrino race! Last Saturday night, in Quebec City, there was also a gathering of both past women Olympians, and the current woman's USST. Trina Hosmer was kind to share some photos with NENSA - see below. You can also read all about Rosie Brennan receiving the first Inga Award from U.S. Nordic Olympic Women (US NOW). Looking to squeeze in a few end of season races or events - you are in luck, and there is still tons of snow up North! Supertour Finals are currently going on in Fort Kent Maine, today through April 2nd. 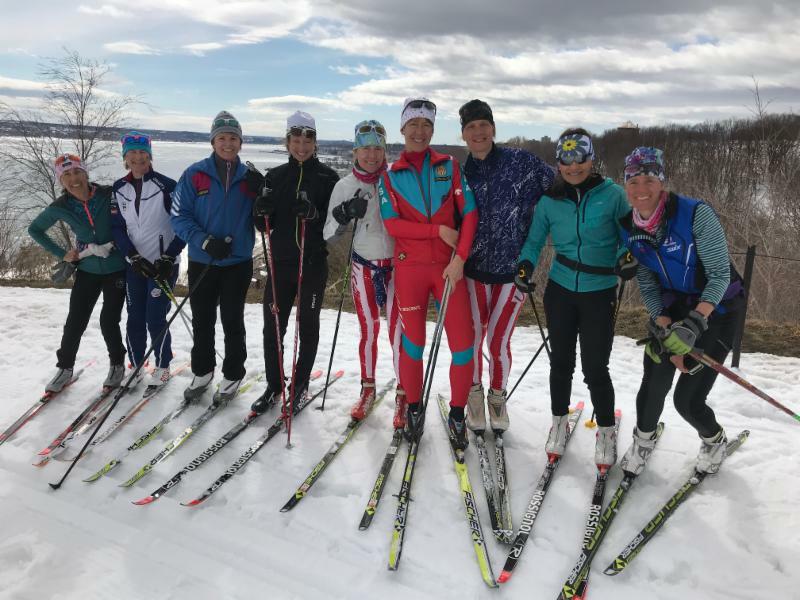 This Saturday March 30th is the Prospect Mountain Black Fly Citizen Races in Woodford VT, and a Girls with Guns biathlon clinic in Jericho VT. 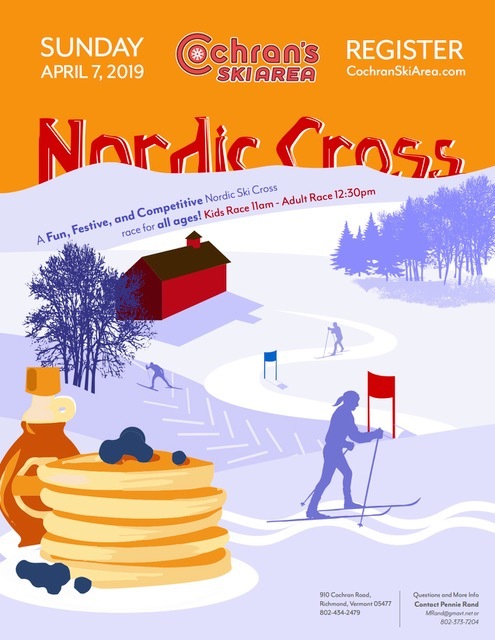 This Sunday March 31st is the Trapps' Race to the Cabin in Stowe, VT.
Save the Date: Next Sunday April 7th, for both the Cochran's Nordic Cross fun race, AND our NENSA Masters End of Season Awards for our Zak Cup, Club Cup and Marathon Challenger winners. And as always, be sure to check out all the NENSA NEWS from the Field below ~ lots of great photos and stories, links the TODAY Show video of Kikkan and Jessie, links to photos galleries from Junior Nationals, as well as all the great races and events coming up on our full NENSA Calendar of Events at the bottom of this eNewsletter. Former Olympians at the World Cup Finals taking an afternoon ski! Since women’s cross country skiing was added to the Olympic Winter Games in 1972, a passionate group of 50 American women have been named to Olympic teams. Those women have come together under the banner of U.S. Nordic Olympic Women (US NOW) to begin recognizing the stars of today with a new award. The Inga Award draws on noted cross country skiing heritage dating back to the 13th century. The Inga Award is named in honor of Inga Varteig, the legendary mother of the Norwegian child prince Haakon IV who was carried to safety on cross country skis by Birkebeiner soldiers, known for their birch bark leggings, during a civil war in the winter of 1205-06. The first Inga Award was presented to Rosie Brennan (Park City, Utah/Alaska Pacific University Nordic Center) during the FIS World Cup Finals in Quebec City to close out the 2019 season. Brennan was honored during a reunion of women’s Olympians. Brennan had a career-best season coming back from a bout with mononucleosis that wreaked havoc with her a year earlier. She was a unanimous selection, being cited for her diligent and patient efforts working back from illness, showing courage, fortitude, grit, determination and raw talent to achieve an extremely high level of success on the international ski racing circuit this season. What’s really cool is starting a plan to get this group together and recognizing the great history we have in women’s skiing. A lot of it has been this perseverance spirit. Marty Hall came up with this idea of the Inga Award and presented it to Alison a year ago. We thought this should be a revolving tradition. 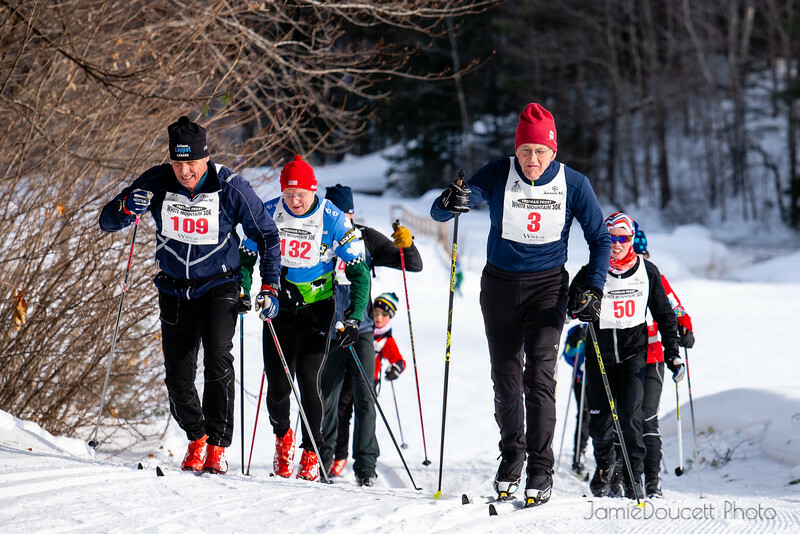 The legend of the Birkebeiners is well known across the sport of cross country skiing. The rescue of the child prince is re-created each year with the Birkebeiner Rennet between Lillehammer and Rena, Norway, and was the inspiration for American visionary Tony Wise when he started the American Birkebeiner in 1973. Legend has it that the child prince was the son of Inga Varteig and King Haakon III, who died before the child’s birth. During a brutal civil war between Bagler and Birkebeiner factions for control of Norway, Inga showed the courage and grit to entrust her baby boy to a group of Birkebeiner soldiers and to ski along with them during a brutal winter from Lillehammer over the mountains to safety. He went on to become one of Norway’s most beloved kings. The concept of the award came from Olympian Alison Owen Bradley, who won the very first FIS Cross Country World Cup in December, 1978. 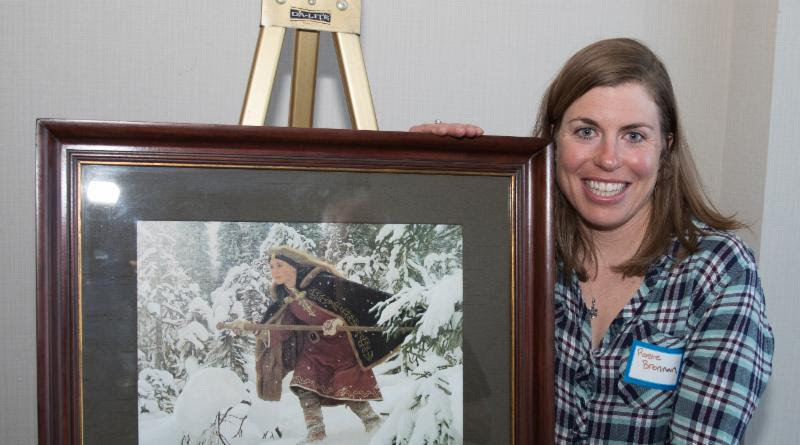 She presented a photograph of Inga from Varteig to U.S. Cross Country Ski Team coach Marty Hall to celebrate his induction into the U.S. Ski & Snowboard Hall of Fame in April, 2018. “Marty played an enormous role in getting U.S. nordic women racing in international events and onto training programs that would make it possible to compete with the best women in the world,” said Bradley. “The Inga Award represents the spirit and grit that our coach instilled in us.”Hall was the U.S. head coach in the mid-70s, playing a significant role in the birth of the FIS World Cup and increased prominence for U.S. women on the international circuit. Owen Bradley, a native of Wenatchee, Wash., made history winning a FIS World Cup in December, 1978 at the Telemark Ski Area in northern Wisconsin. Kikkan Randall (Anchorage) opened new doors winning three season-long World Cup sprint titles. Randall combined with Jessie Diggins (Afton, Minn.) to win Olympic gold in 2018. In the past decade, the depth of the U.S. women’s program has expanded dramatically, with today’s female stars very cognizant of their nordic roots dating back to the 1970s. 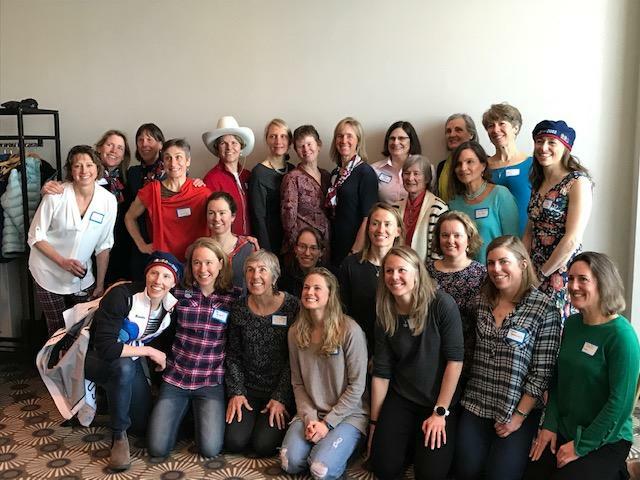 Around 30 of the 50 Olympians attended the first reunion, where they watched current stars like Diggins and Sadie Bjornsen (Winthrop, Wash.). Leading into the 2018 Olympics, U.S. coach Matt Whitcomb organized a project where current team athletes reached out to those of the past to develop a sense of history. So for the current team, it was an opportunity to get face-to-face with their own heroes of the past. Caitlin Compton Gregg, 2010, Duxbury, Vt.
Rebecca Dussault, 2006, Gunnison, Colo.
Jana Hlavaty, 1976, Keystone, Colo.
Suzanne King, 1994, 1998, Bend, Ore.
Abby Larson, 2006, Saint Paul, Minn.
Alison Owen, 1972, 1980, Wenatchee, Wash.
Beth Paxson, 1980, Burlington, Vt.
Karen Petty, 1994, 1998, Townshend, Vt.
Terry Porter, 1976, Cambridge, Mass. 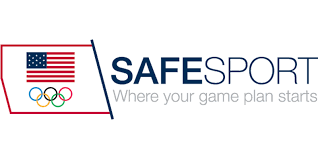 ﻿Full details in KickZone next week!